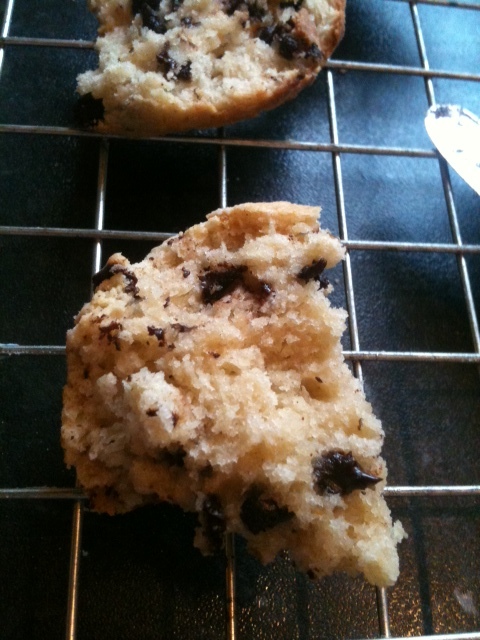 Random Recipes entry Feb- Chocolate Chip Scones! This month is chocolate for Belleau Kitchen‘s Random Recipe challenge, incidentally it’s a collaborative thang between Dom and Choclette of We Should Cocoa. This time I let my teenager choose my entry by picking a book he fancied from the shelf and then a page(I made sure it was from the chocolate section)! He picked out Chocolate Chip Scones. 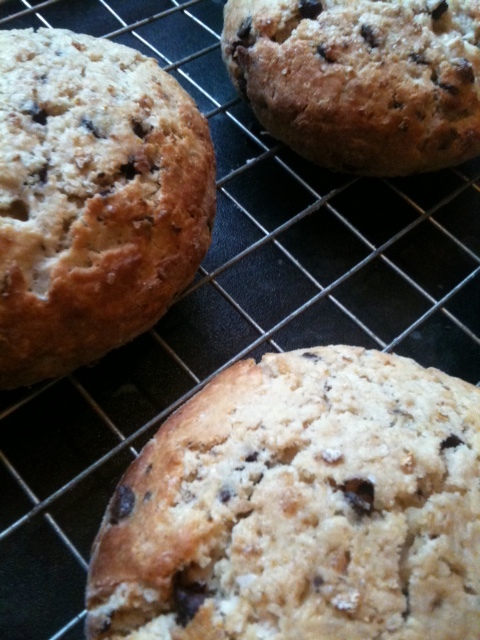 Lucky for us we love chocolate and we love scones, we reckoned it was a win-win divine intervention type of “message”. Though I have made many a chocolate chip scone in my time(in my brother’s coffee shop I was the baker) but never added marmalade to them. Being a small coastal town, and not used to something as “way out” as chocolate in a scone, I was up against it to try and convince locals they were/are good. Those who braved the choc studded delicacies were pleasantly surprised(I managed to resist the urge to shout “told you so!” at them). 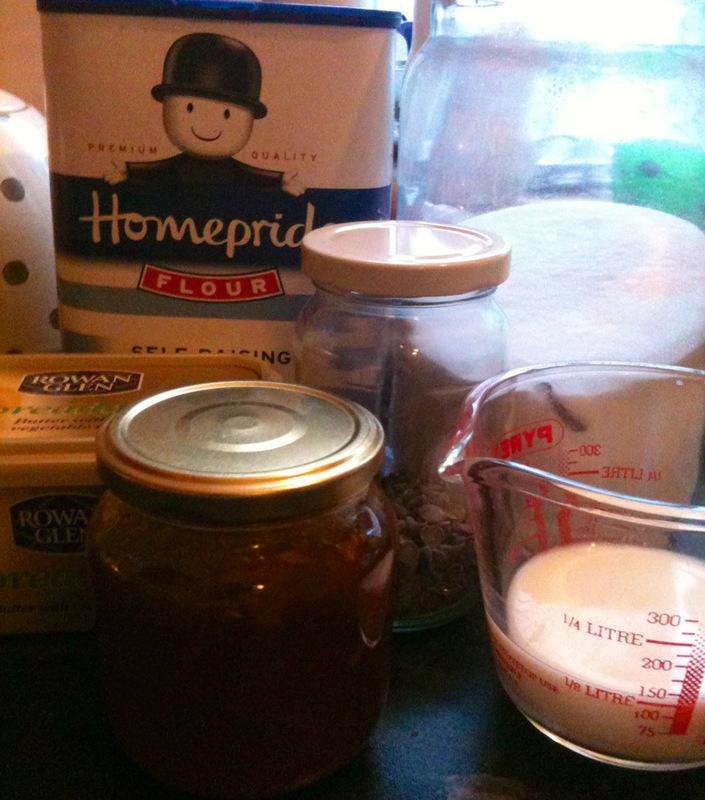 This recipe, from the Great British Bake Off Everday, is easy, as scone recipes tend to be, you most probably have all the ingredients in your cupboards right now. It was not dissimilar to my own chocolate chip version, aside from a couple of big differences, one being the addition of milk chocolate. To my mind milk choc is just going to be way too sweet in something that ultimately supposed to be quite plain. I mean if you want a piece of cake(& don’t care about the calories), you buy a piece of cake don’t you? 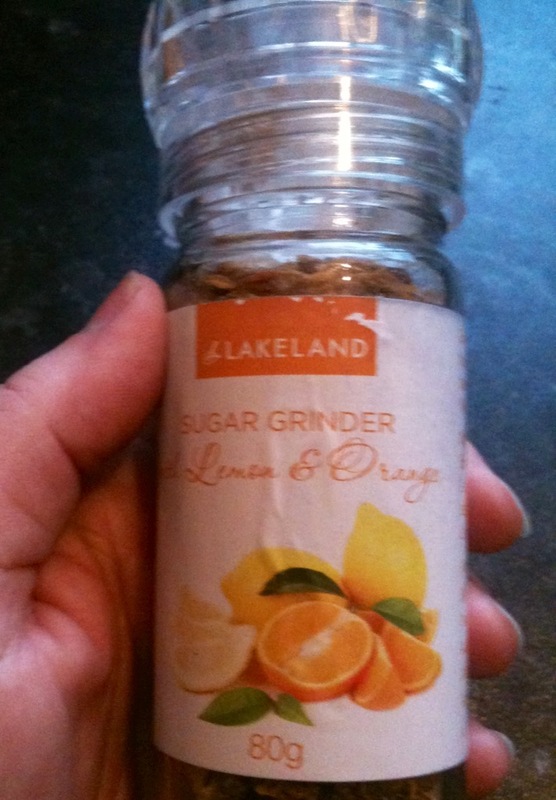 *On doing a bit of an online search I think Lakeland have stopped doing the sugar grinders, but I am pretty sure if you’re a foodie type you can rustle something similar up! These sound really good. Somehow Id never thought to put chocolate chips in a scone before. Maybe I need to be more adventurous! Oops, just discovered this via Dom’s round-up. Now adding it to mine. 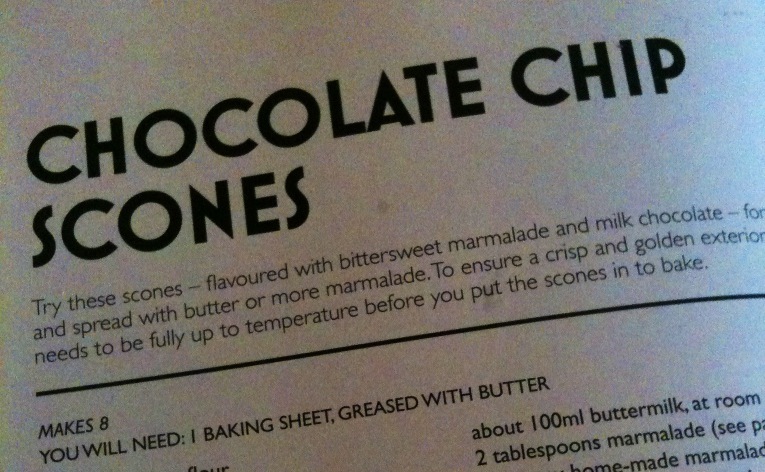 I’ve made a few variations on chocolate scones and I’ve enjoyed them all, but I’ve never used marmalade before. You’d have thought that would have given a good orangey flavour. I’m with you on the sweetness, can’t stand overly sweet scones and I think your dark chic chips was the best idea. I thought that it would have been nice & orange flavoured too, perhaps my homemade marmalade not as orangey as some bought jars? Not sure.